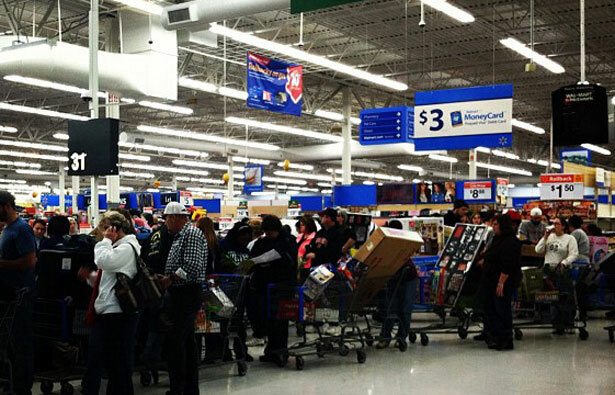 The agreement is designed to resolve Walmart’s allegations that workers’ Black Friday protests were illegal. Both sides claimed victory this afternoon after the National Labor Relations Board announced an agreement to resolve allegations by Walmart that the recent union-backed pickets outside its retail stores broke the law. As The Nation has reported, in a charge filed one week before November’s Black Friday strike, Walmart had accused the United Food & Commercial Workers union of organizing illegal pickets for the purpose of winning union recognition (the protests were spearheaded by the UFCW-backed group OUR Walmart). The UFCW maintained that it was supporting workers’ protests of illegal retaliation by Walmart, not demanding unionization. Under US labor law, pickets motivated by illegal crimes by an employer have the strongest legal protection, while pickets designed to pressure a company to bargain with a union face the greatest restrictions. According to a letter released by the NLRB, the UFCW has agreed not to picket Walmart for sixty days, and to distribute a statement clarifying that it is not demanding union recognition from Walmart. If a regional NLRB director finds the UFCW to be engaged in illegal picketing in the future, the agreement paves the way for an injunction against the union. On the other hand, if the union complies with these commitments, the NLRB will dismiss Walmart’s charge. In contrast, OUR Walmart claimed the agreement as a victory on the grounds that it does not limit workers’ right to hold strikes or many other forms of demonstrations. In an e-mailed statement, Lancaster, Texas, OUR Walmart activist Colby Harris said, “OUR Walmart has been able to raise the voices of workers at Walmart stores across the country and this resolution ensures that will continue.” OUR Walmart also noted that it has filed more than 80 charges of its own against Walmart with the NLRB. Former NLRB Chair Wilma Liebman told The Nation that the resolution “would suggest that there was something” in the evidence presented by Walmart “that precluded an outright dismissal. It may be that it was borderline, and so it made sense to accept an agreement like this.” She noted that under legal precedent, the sixty-day moratorium on picketing would not prevent UFCW-backed groups from using protest tactics like leafleting outside of Walmart stores, or mounting an inflatable rat, or holding a mock funeral. How will OSHA respond to locked-in Target workers? Read Josh Eidelson's story.